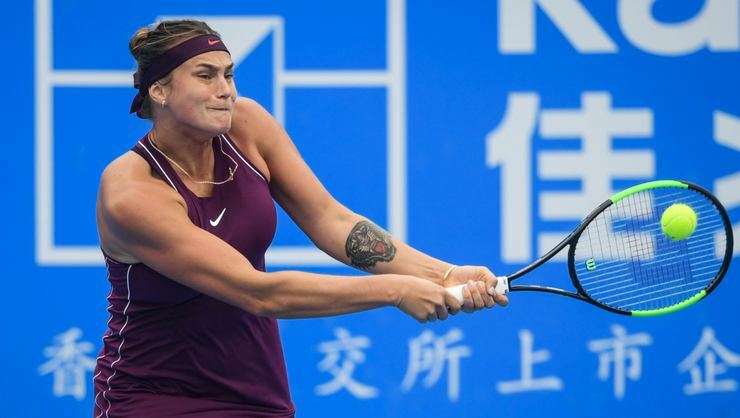 Top seed Aryna Sabalenka won the Shenzhen Open on Saturday after a nail-biting clash against three-time finalist Alison Riske. Sabalenka lost the first set to her American opponent, before coming back to win the match 4-6, 7-6, 6-3. The Shenzhen open was the Belarusian’s fifth WTA final in the last ten months and her first international trophy. The world number 13 had a breakthrough season last year when she won titles at Wuhan and New Haven. “It was a tough day for us, especially to come back after the first set. She (Riske) played unbelievably, an incredible match,” Sabalenka said. A quarterfinalist on her debut in Shenzhen last year, Sabalenka lost to eventual champion Simona Halep. Sabalenka cruised past home favourite Wang Yafan, 6-2, 6-1, while Riske beat former world number two and two-time major finalist Vera Zvonareva in the semi-finals on Saturday morning, after rain washed out much of Thursday’s play and set the schedule behind by a day.